(Bloomberg) -- Senator Dianne Feinstein unveiled a less ambitious alternative to the “Green New Deal” after she was caught on tape rejecting a push by children for her to support the sweeping climate change plan backed by progressive Democratic Representative Alexandria Ocasio-Cortez. Feinstein’s proposed draft plan seeks to eliminate greenhouse gas emissions by 2050 - 20 years later than the Green New Deal - and also explicitly calls for achieving those reductions through a price on carbon, among other ways. During a meeting with youth activists from the progressive Sunrise Movement, some of whom the group said were as young as age 7, the California Democrat suggested the ambitious climate plan was not achievable. “You come in here and say: ‘It has to be my way or the highway. I don’t respond to that’,” the 85-year-old Feinstein said in remarks captured on video in her San Francisco office that were criticized on social media. “You didn’t vote for me,” Feinstein told one 16-year-old after learning she was under the legal voting age. 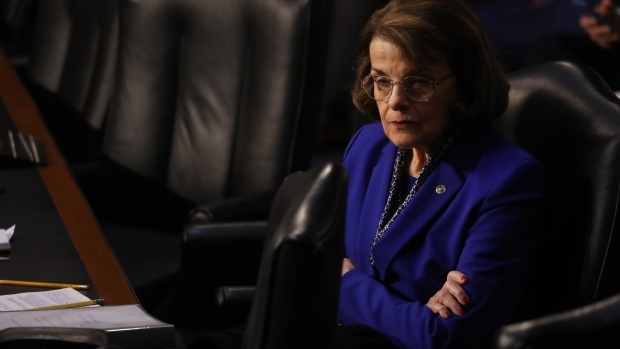 Feinstein later released a statement that said climate change remained one of her top priorities and that she planned to introduce her resolution soon.